Last Saturday (15th October) Professor Middleton and I took ORI to the Royal Bournemouth and Christchurch Hospitals Open Day. The event saw an impressive growth compared to previous years , with over 1000 visitors through the door. Our stand aimed to share our CHAIN (Cycling Against Hip) programme with visitors to Bournemouth Hospital. The CHAIN programme is a 6-week exercise and education treatment pathway for people with hip pain. It is designed to promote the self-management of hip pain and is based on the latest NICE guidelines for the treatment of osteoarthritis. These guidelines recommend local muscle strengthening, aerobic exercise, and ed ucation as a core part of the treatment. Cycling strengthens muscles around the hip, helps to reduce pain, and is an excellent form of aerobic exercise. 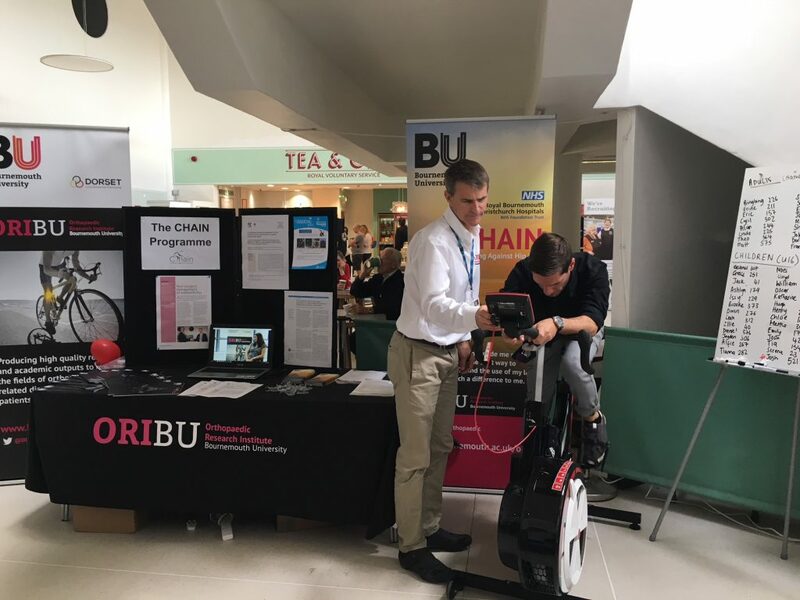 In addition to sharing our research on how cycling can help to cure hip pain, we ran a Wattbike competition for visitors to our stand. 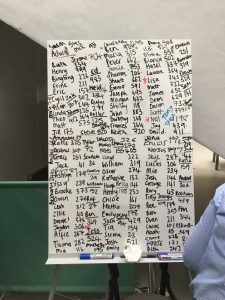 Participants had thirty seconds to reach their maximum power output (recorded in watts). 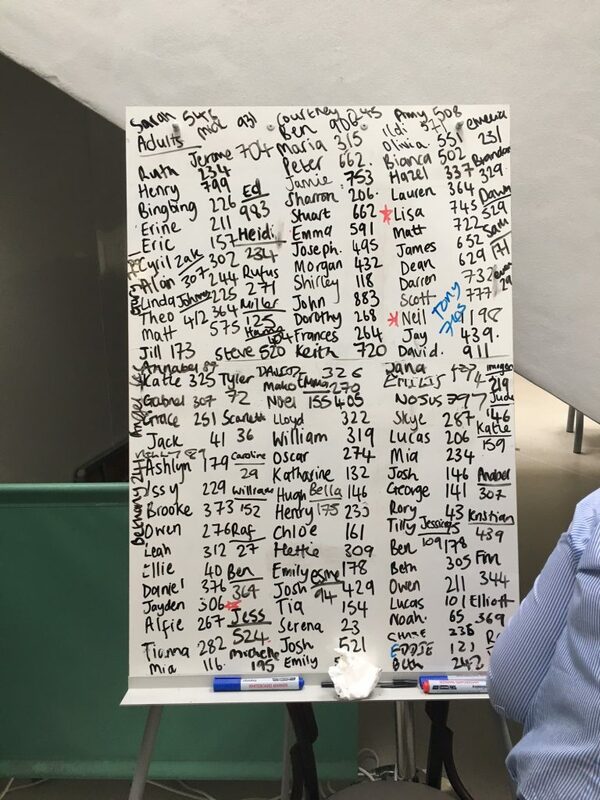 We would like to congratulation Director of Operations: Surgery, Neil Cowan on achieving a new high score of 1198W, which remained unbeaten all day. We would also like to congratulate Lisa who won the women’s competition with a score of 745W, and Jess who topped the table with an impressive 524W in the under 16 category. Thank you to everyone who took part, the fantastic team at RBH who organised the event and our Estates team at Bournemouth University, who helped us set up. For more information on the CHAIN programme, please email CHAIN@bournemouth.ac.uk.